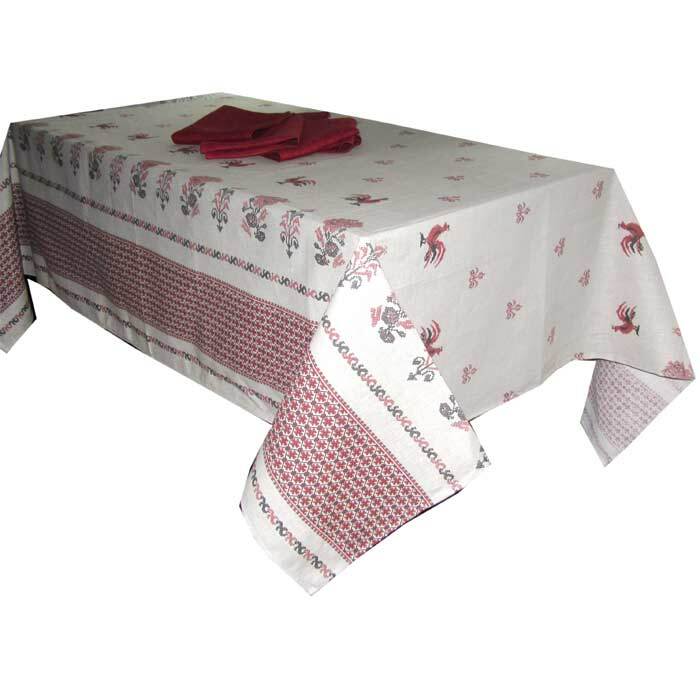 Table Set Roosters consists of the tablecloth with size 150x180 cm/60x72" and size napkins with size 30x30cm/12x12". 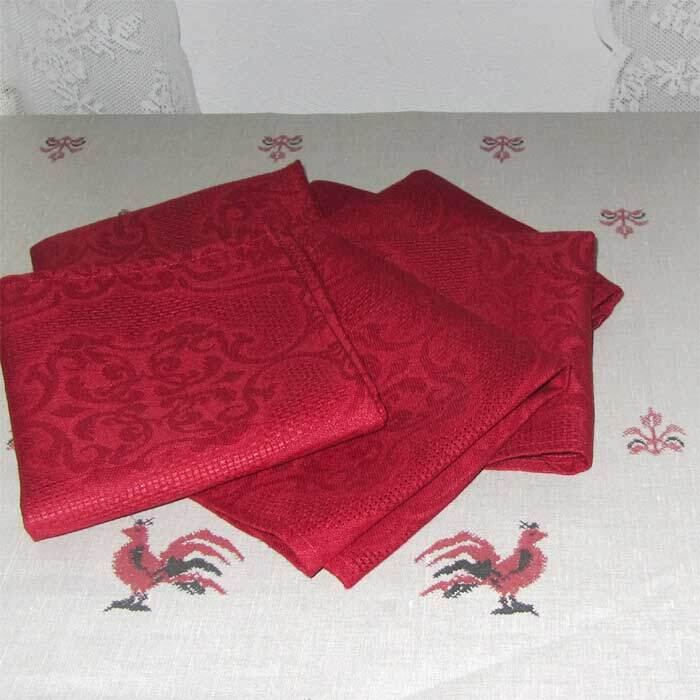 They are made of natural soft fabric which contains 50% of linen and 50% of cotton. 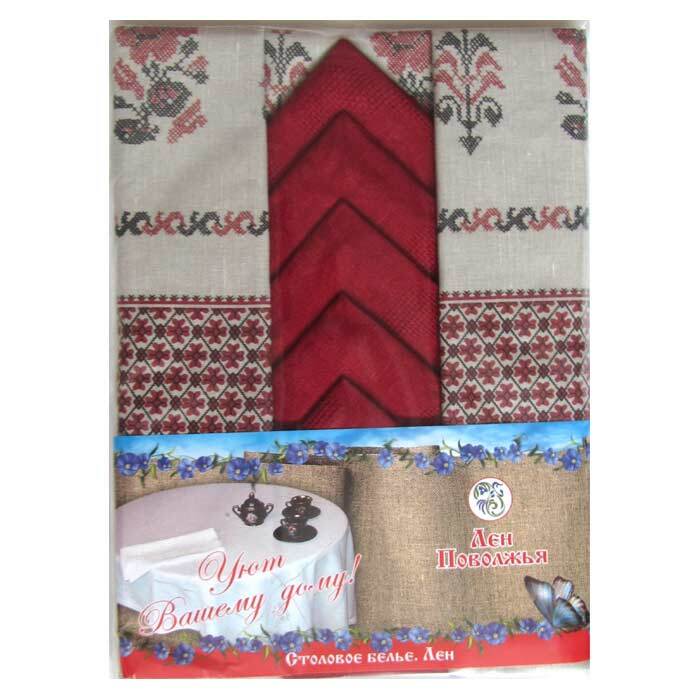 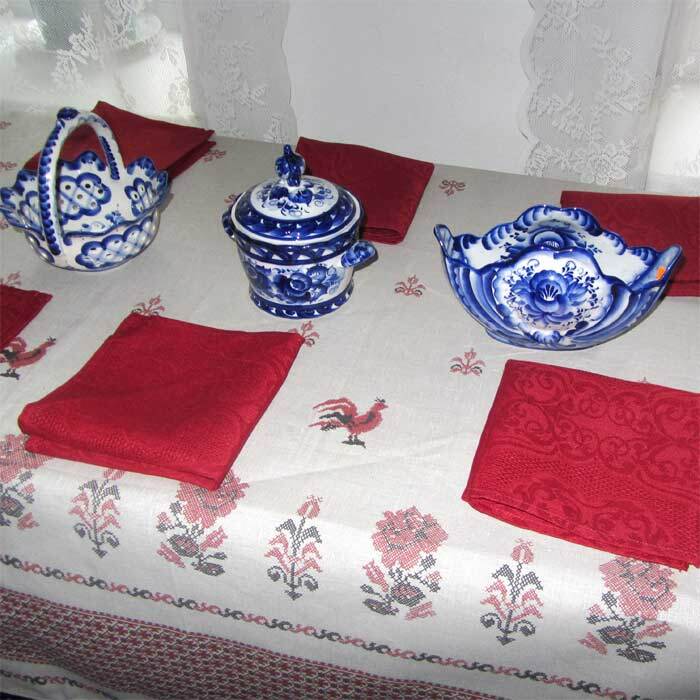 The tablecloth is decorated in motives of Russian embroidery (the embroidery style decoration is printed).